Nairobi Salon: What is the Next Mobile Development App that Will Scale? 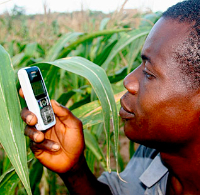 How can your education, healthcare, or agriculture app scale in the growing mobile markets of East Africa’s urban and upcountry locales? What is the right balance between user adoption and development goals? Or even free vs. paid? "Users do not exploit the phone’s full potential by using applications (except for M-PESA). This is due to lacking awareness/marketing campaigns, confusion about the difference between applications, phone functionalities, and Internet, and challenges in the use of USSD/SMS applications." With that challenge in mind, we’ll hear from Nicola D'Elia of Facebook, Angela Crandall of iHub, and Toni Maraviglia of mPrep on their opinions and share our own thoughts around social needs, user adoption, and the mobile apps that could be the next M-PESA in reach and impact. We'll have hot coffee and mandazis for a morning rush, but seating is limited at Population Council's headquarters in Nairobi. So RSVP ASAP to be confirmed for attendance - once we reach our 30-person capacity there will be a waitlist. Digital mapping as a tool in the participatory development toolkit has generated a great deal of interest in the development community and the mapped community members themselves. 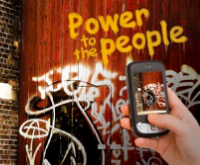 But along with the popularity of GPS and community digital mapping have come a number of deeper and potentially unsettling questions around power dynamics, processes, and politics that change once a community is mapped and online for the world to see. Join Erica Hagen from Ground Truth, Robert Banick of the American Red Cross and your friends at the Technology Salon for a discussion on the ethics and responsibilities of external agents who engage in participatory digital mapping as part of the community development process. Whose responsibility is it to create base maps? Who owns (or should own) the map data? Are digital maps useful for rural, offline communities? Is digital mapping better than hand-drawn mapping? What happens with community digital mapping projects in the long term? How can we make sure they aren't just innovation showpieces for donors? What about privacy? Can maps put those we aim to help at risk, especially children or vulnerable populations? When should a decision NOT to map a community be made? And who makes that decision? 9 a.m. – 10.30 a.m.
Save The Date: On February 6th we'll have a NYC ICT4Drinks happy hour to celebrate mHealth in Practice, a new book on mHealth edited by mHealth Alliance executive director Patricia Mechael and containing contributions from leading mHealth experts. Sign up to get invited. We all know that citizens should hold their governments accountable to deliver quality public services in a transparent and responsive manner. That citizens should be empowered to define what a government should do, express that desire, see it enacted, and rate the result. Yet that's an idea rarely achieved - even in the "developed" world. 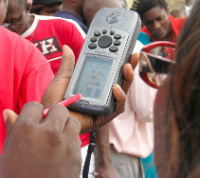 So what should we expect citizen engagement to be in the developing world? And how can ICT's facilitate and accelerate it? Is asking for a "Yelp for Development" too much, or too prescriptive? And what existing development programs already engage citizens and their government? We'll have hot coffee and donuts for a morning rush, but seating is limited at IREX's headquarters. So RSVP ASAP to be confirmed for attendance - once we reach our 30-person capacity there will be a waitlist. Our meetings are lively conversations, not boring presentations. Attendance is capped at 30 people - and frank participation with ideas, opinions, and predictions is actively encouraged. It's also a great opportunity to meet others motivated to employ technology to solve vexing development problems. Join us today!